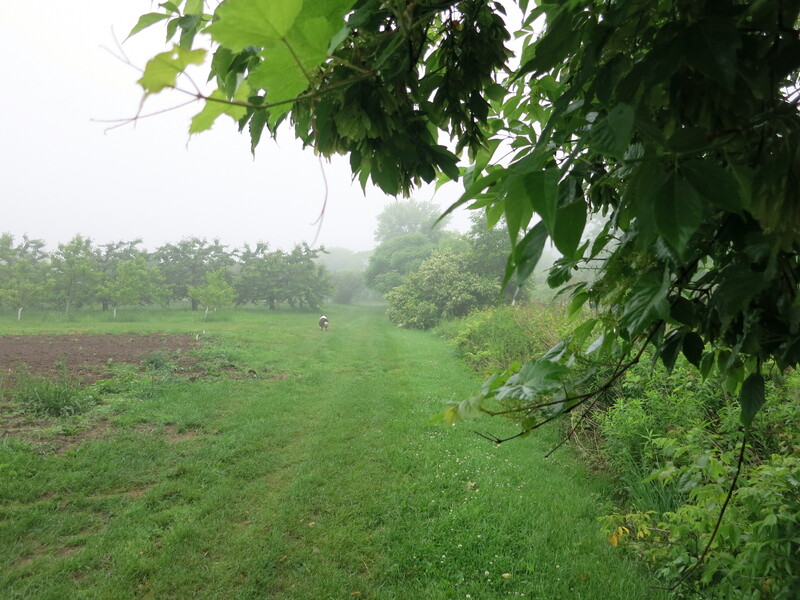 It’s a green, green world on the farm right now … and it’s beautiful! With ample moisture in the ground from all the rains earlier this month, and now the sunshine & warmer temperatures, everything is growing rapidly. 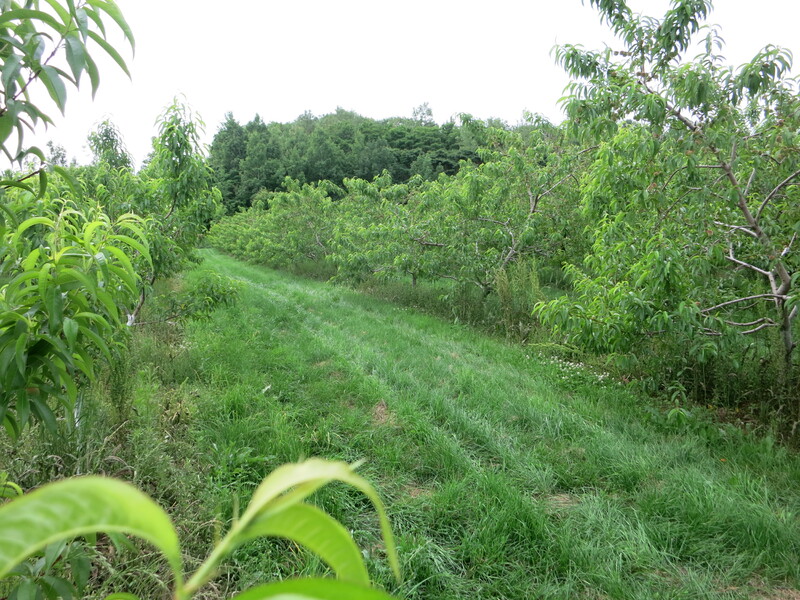 The fruit trees, berry canes, vegetables, grass, and of course the weeds – all are lush & bright & green. 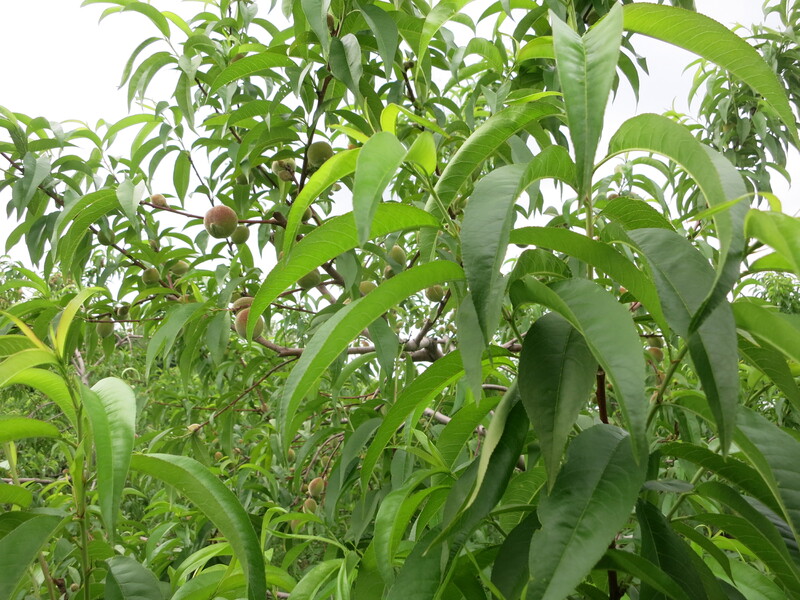 New peach leaves & branches are a bright, vibrant green, becoming a darker green as they mature. 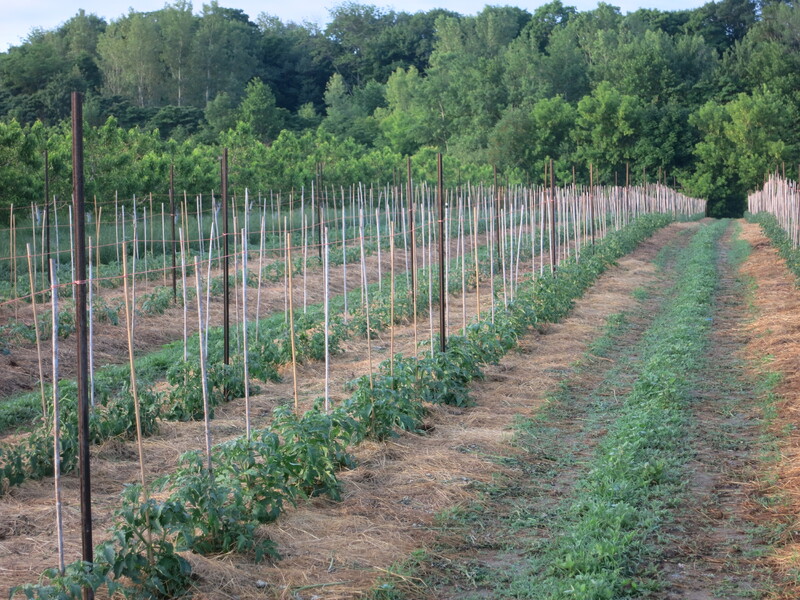 The tomatoes are all mulched & staked & have been tied once. 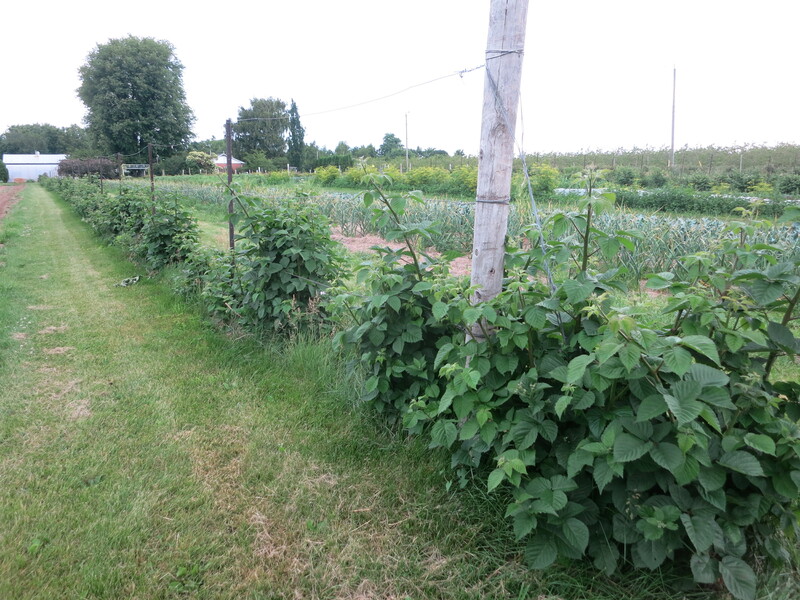 Our native shrub & tree nursery – everything’s growing well, including the weeds. At the farmers’ markets our stall is also green. Since our markets began about a month ago, we have been selling plants only – herbs & vegetable plants, including tomatoes, peppers, zucchini, cucumbers, eggplant, kale … but all green. Most people have done their planting now, but thanks to the city wildlife & their appetite for greens, replanting is often necessary & our sales continue. Last week we offered lettuce & pea shoots – still green but edible & our customers were happy. 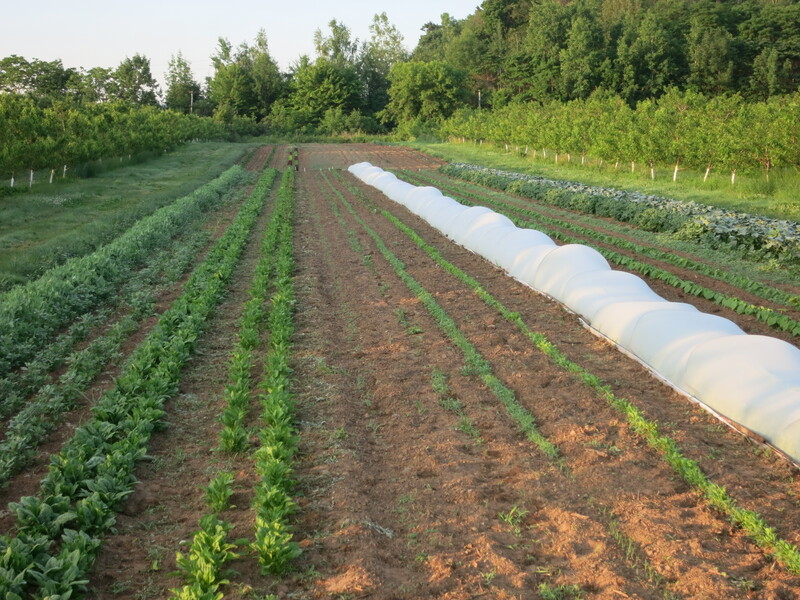 Our CSA boxes are extremely green as well – and not everyone is happy about that. While most members express thanks & appreciation for the fresh vegetables, we do hear some mutterings & grumblings. Everyone is hungry for something besides green salad fixings – especially fruit. We are too! The early zucchini is ripening, but that late frost damaged so many plants that there isn’t enough for our CSA members. 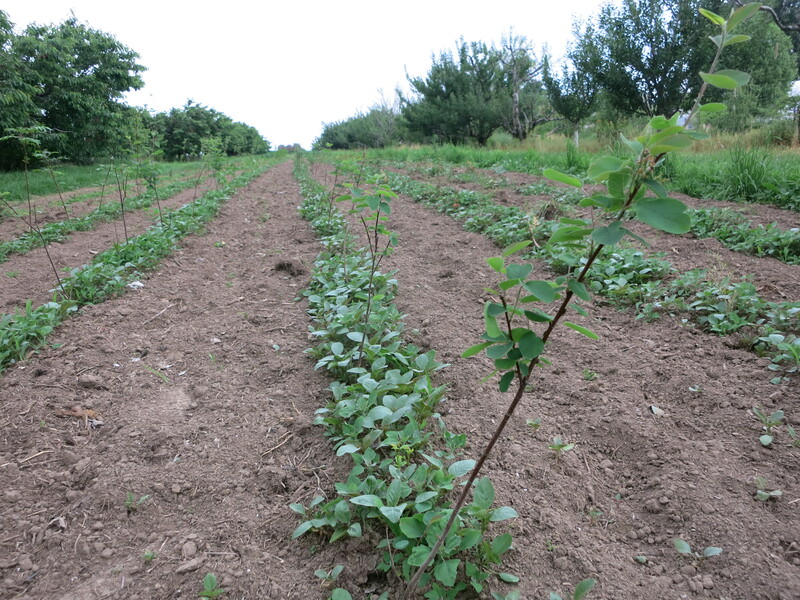 The first beets were also stunted & slowed and are not quite ready to harvest. 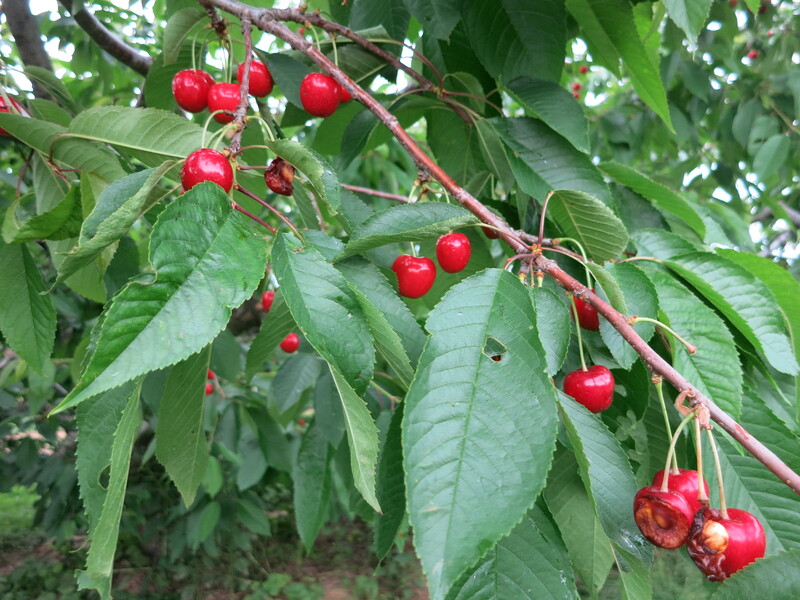 But the sweet cherries & raspberries have come a long way in the last few days. We hope to be picking by next week! What’s in the (green) box? Broccoli, snow peas, lettuce mix, Asian greens – stir fry greens, green garlic, mint. Broccoli was an unexpected bonus in last week’s Friday boxes. This week everyone gets broccoli – the heads are not large but oh so delicious! Snow peas are always a sure thing – but this season we have been humbled again. Sown during that dry spell, they germinated slowly & poorly, then had to compete with all the weeds that flourished when the rain finally came. We still have snow peas for your share, but not as many as usual. The lettuce mix continues to grow & grow! Keep eating your salads! The Asian greens are all bok choy or pac choy or … this week. Stir fry them quickly to keep the vibrant green colour & fresh flavour. Enjoy some green garlic again this week – this may be the last garlic until fall! Remember to store it in the fridge. Hot, humid days call for home-brewed iced tea with fresh mint leaves. 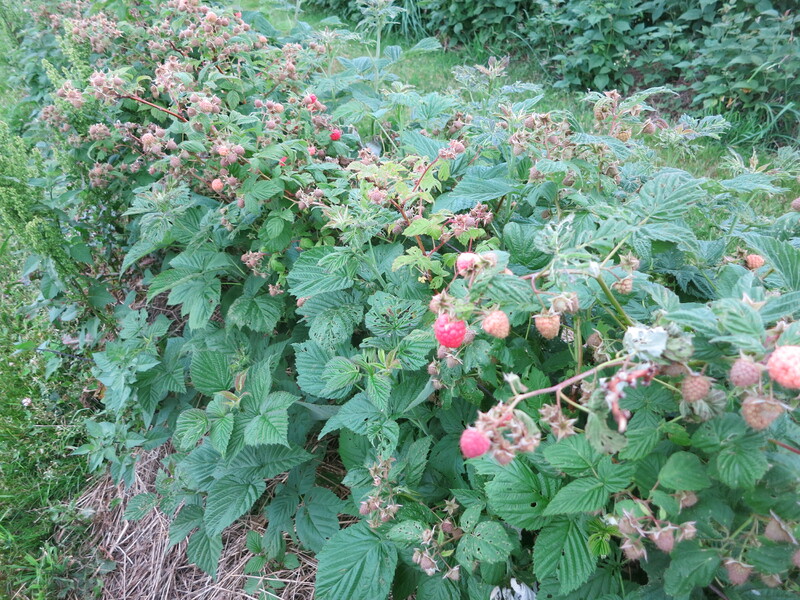 Our mint is going wild so we have included a bunch in your share this week. Thanks for remembering to return all containers & bags for reuse!